Grew up… as a member of the lower class in the world of the dead. Rukia showed supernatural abilities, however, and so entered training to become a Shinigami, a person who guides dead souls and eradicates evil spirits. During this time, she was adopted by a member of the nobility, and grew up wanting to prove herself worthy. Living… in the human world, to her dismay. 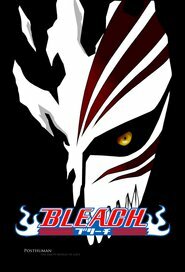 Rukia was only in the human world to get rid of an evil spirit – but the situation got complicated when high school student Ichigo tried to intervene. Not only could he see her, he could also see spirits, and tried to help her fight to save his little sister, who had been attacked. Ichigo hadn’t been trained, though, and Rukia was forced to give him her Shinigami powers to save him. Now she’s stuck in the human world until her powers grow back. Interests… Rukia is very serious most of the time, concentrating on her duties. But when she isn’t, she likes anything rabbit-themed, and likes to illustrate her explanations with hand-drawn pictures. Challenge… forcing Ichigo to act as a substitute Shinigami while she recovers. And staying undercover, despite the fact that she knows nothing about the human world. Personality… aloof and reserved, with strong convictions. Rukia has trouble opening up to anyone, and tends to keep her emotions to herself – unless she’s annoyed. Most of the time, she comes off as a cool and collected warrior, but sometimes she breaks through her the shell. Whether that’s to yell at Ichigo, coo over bunnies, or charm fellow students depends on the day. Rukia Kuchiki's popularity ranking on CharacTour is #425 out of 5,000+ characters. See our top-ranked characters and read their profiles.